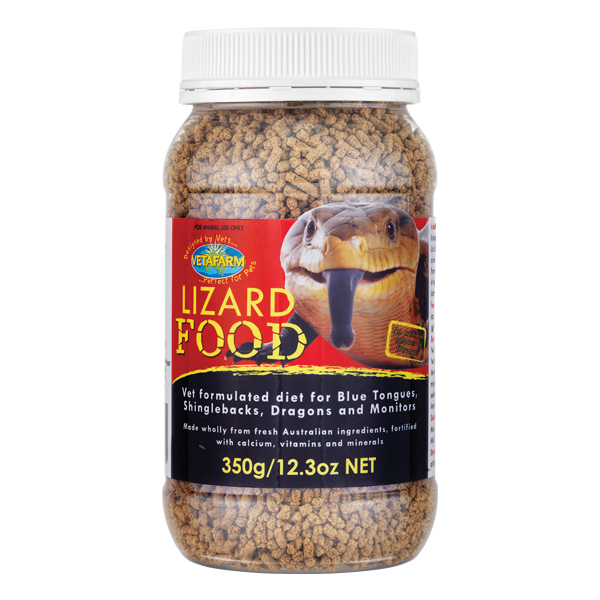 Vetafarm Lizard Food is a completely balanced extruded pellet diet formulated by Vets. 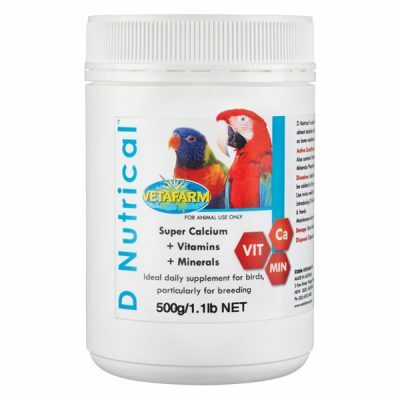 Fortified with essential minerals and vitamins. Recommended for: Complete diet for all skinks, including blue tongues, shingle backs and cunninghams. Also Suitable For: Bearded dragons and monitors. 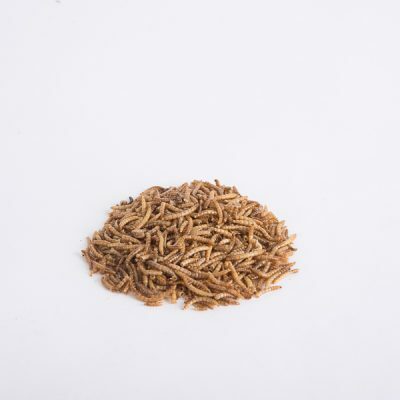 Can Be Used With: Fresh fruit and vegetables can be fed as behavioural enrichment along with the occasional live insect. No other supplementation is required. 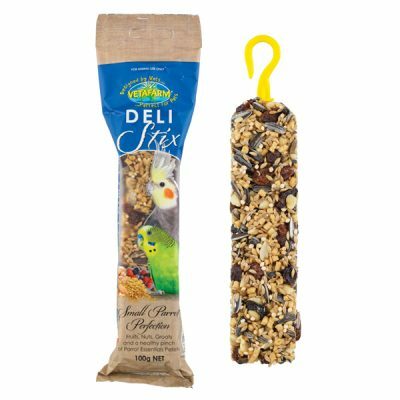 Key features: Highly palatable, made with fresh Australian ingredients, contains Mutton bird oil, balanced calcium/phosphorous ratio. Made from natural ingredients, does not contain any artificial colours or flavours. and zinc), amino acids (lysine and methionine).